2013 Halloween Restaurant Freebies & Deals! Outback Steakhouse – Kids Eat FREE with each purchase of an adult entree. Limit 2 free kids meals per visit. No coupon necessary. Just say “Free Kids Meal” to your server. Offer valid for lunch or dinner, dine-in or curbside takeaway. Luby’s – Kids Eat Free with purchase of an adult entree from 4pm – close. No coupon necessary. Olive Garden – Free Kids meal with the purchase of an adult entree. Limit 2 free kids meals per visit. Valid for kids 12 and under. Sign-up for Olive Garden’s e-mail newsletter HERE to receive your coupon. Boston Market – Free Kids meal with the purchase of any individual meal. One coupon per customer per transaction. Valid all day through 10/31. Print coupon HERE. Krispy Kreme – Dress up for Halloween (no age restrictions here) and wear your costume to your local Krispy Kreme for a FREE doughnut! Sonic Drive-In – $0.50 Corn Dogs all day long 10/31! No coupon necessary. IHOP – FREE Scary Face Pancake to all kids 12 and under from 7a-10p on 10/31. One offer per child. No coupon necessary. Build-A-Bear – FREE Haribo Gummy Bears for children who visit in costume. Offer valid Oct. 25-31st. 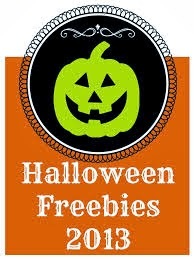 Previous postKids Eat FREE at Luby’s on Halloween! Next postBass Pro Shops FREE Halloween Event for Kids!